I could write an article about why I’m thankful for Google’s products, but I’m not going to. No. What I’m thankful for, is what Google is doing for millions of people who will probably never be paying customers. Google believes in the power of the internet, and they’re willing to defy the US government to spread that power. Led by Google Ideas Chief Jared Cohen and executive Chairman/former CEO Eric Schmidt, Google has brought high-tech services to oppressed peoples around the globe. Google has essentially set up its own diplomatic organization, and taken steps to bring its services to Cuba, Iran, Syria, and even North Korea. If Cuba is trapped in the 1950’s, the Internet of Cuba is trapped in the 1990s. About 20-25% of Cubans have phone lines but mostly subsidized land lines, and the cell phone infrastructure is very thin. Approximately 3-4% of Cubans have access to the Internet in internet cafes and in certain universities. The Internet is heavily censored and the infrastructure, which we toured, is made out of Chinese components. The “blockade” makes absolutely no sense to US interests: if you wish the country to modernize the best way to do this is to empower the citizens with smart phones (there are almost none today) and encourage freedom of expression and put information tools into the hands of Cubans directly. If Schmidt is the public face, the man behind the curtain is Jared Cohen, a former State-Department official now running Google’s Ideas division, a global think tank. Cohen is famous for convincing Twitter to cancel a scheduled maintenance outage during the 2009 Iranian Presidential Elections, saving a tool that had become vital to the opposition movement’s organization. Since Cohen started Google Ideas, he has shepherded top Google executives to North Korea, Iran, Cuba, and other oppressed or dangerous countries, to hold dialogues with governments, and consider how technology could improve the lives of the citizens in these countries. In a way, he has turned Google from a company, to a diplomatic power. In just a few years, Google has brought its Chrome browser, and other Google services to Iran, Cuba, and Syria. It also brought photo-sharing and Google Maps to Iran, and expanded its play stores to those countries as well. Their North Korean trip was particularly interesting. 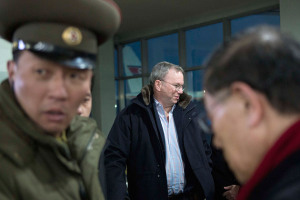 Despite protests from the US government, who referred to the trip as “ill-advised”, Schmidt accompanied Cohen, former Governor Bill Richardson, and other Google executives on a trip to the Democratic People’s Republic of Korea (the formal name for North Korea). Inside of North Korea, Schmidt reportedly met with students and regular people, as well as just governmental officials, to discuss the power and the importance of bringing the free and open internet to Korea. This is a very unusual step in a country where foreigners have been arrested for simply bringing in bibles. Schmidt is also one of the highest-level executives to ever visit the DPRK. Google executives went to North Korea! Right now, internet in the DPRK is limited to only the government, students, and the military, and under 1 million people own cellphones, but Schmidt and Cohen are trying to change that. Thanks to their efforts, some students in the DPRK now have access to Google. In fact, Cohen reportedly took hold of the computer, and Googled “New York City” to show the students where he lived. Google didn’t take the easy choice. They took a risk, but they did it for an important cause, and it seems to be making a difference. Google has also made strides in other humanitarian areas. Google Ideas recently helped to set up a network of human-trafficking hotlines to help shut down slave-rings, and free millions of people. They’ve built an entire digital toolset designed to study and fight violent extremism. Google has even helped newly-formed governments and countries craft better constitutions through an app called Constitute. Google seems genuinely interested in doing good with its influence and profits, and it’s already making a big difference. DDOS (Distributed Denial of Service) attacks are a big problem. They’re cheap and easy to create, and they can shut down even the most well-protected of websites. Even worse, they’ve often been used by rogue governments and dictators to silence dissident voices. Now, Google has released a tool called Project Shield to help protect such voices from being silenced. Using their massive infrastructure, Google is helping to spread free speech the world over. Google’s philanthropic efforts do not end there. Through Google.org, Google donates $100 million in cash and over $1 billion in products annually towards tasks like fighting Ebola, empowering women, and improving education. Google, through its stealthy Google X Lab has also been working on devices to change the lives of people with disabilities, and people without access to educational resources. 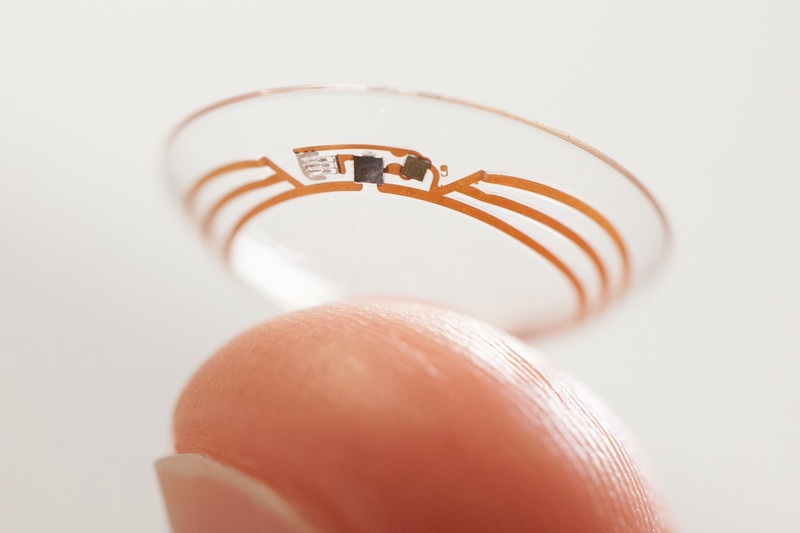 Google has built a contact lens for the painful, instantaneous measure of glucose levels in diabetes patients, and they are currently working on medical certification. Google has also developed a smartphone for blind people, helping to make their lives more accessible. In addition, Google has been working on an ambitious Project called Loon, which uses weather balloons to create a worldwide network of internet access, bringing the web to people who have never had access before. These products are niche, and they probably will not bring Google in much revenue. They’re expensive gambles, but they have transformative possibilities, which is why it’s so fantastic that Google is pursuing them. I’m generally not a believer in corporate morality. How can something comprised of thousands of people have values? In this case, I believe in it. Larry Page, Sergey Brin, Jared Cohen, and Eric Schmidt have done so much incredible work towards spreading access to education and healthcare, and stopping evil, and I’m very thankful for it. They really do live up to their motto of “Don’t Be Evil!”.